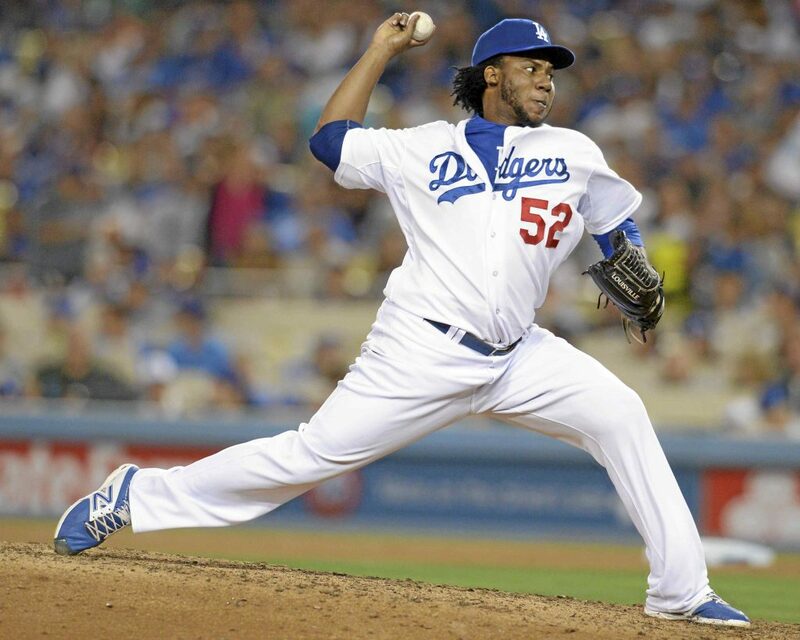 Dodgers replace Pedro Baez with Casey Fien. DENVER >> The Dodgers optioned pitcher Pedro Baez to Double-A Tulsa prior to Tuesday’s game against the Colorado Rockies, and recalled Casey Fien from his rehabilitation assignment. Ordinarily players who are optioned to the minor leagues can’t be recalled for another 10 days unless another player is hurt. But because the Tulsa Drillers’ season ends next Monday, the Dodgers can bring Baez back the following day, Sept. 6. Baez’s overall numbers are quite solid: a 3.61 earned-run average in 62 appearances, with 19 walks and 68 strikeouts in 62 ⅓ innings. But his ERA has risen by a full run in August as the right-hander strung together one rocky appearance after another. He has a 7.50 ERA and a .653 opponents’ slugging percentage in his last 13 appearances. Only Joe Blanton has appeared in more games this season for the Dodgers than Baez. Fien hasn’t pitched since July 16 because of a minor elbow injury. He has a 3.80 ERA in 23 relief appearances since the Dodgers claimed him off waivers from the Minnesota Twins. This entry was posted in JP on the Dodgers and tagged Casey Fien, Pedro Baez by J.P. Hoornstra. Bookmark the permalink.